This sounds so good right now! 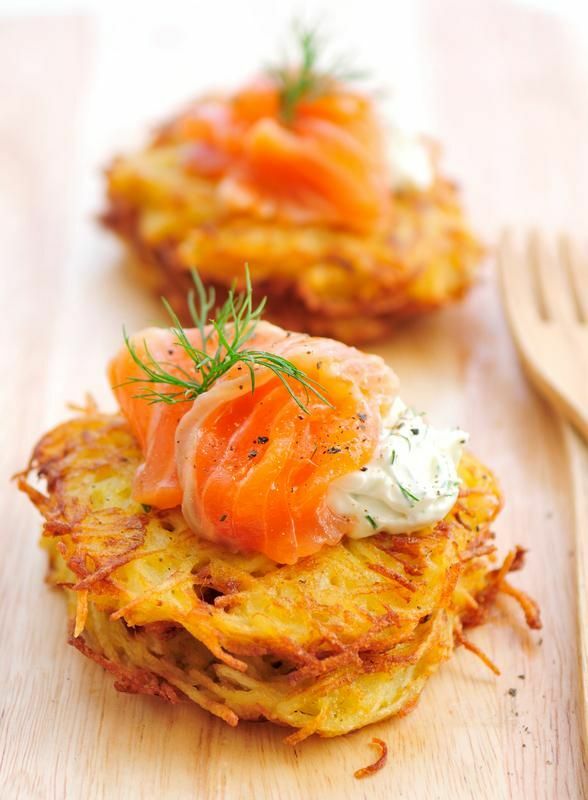 Smoked salmon on potato rosti. 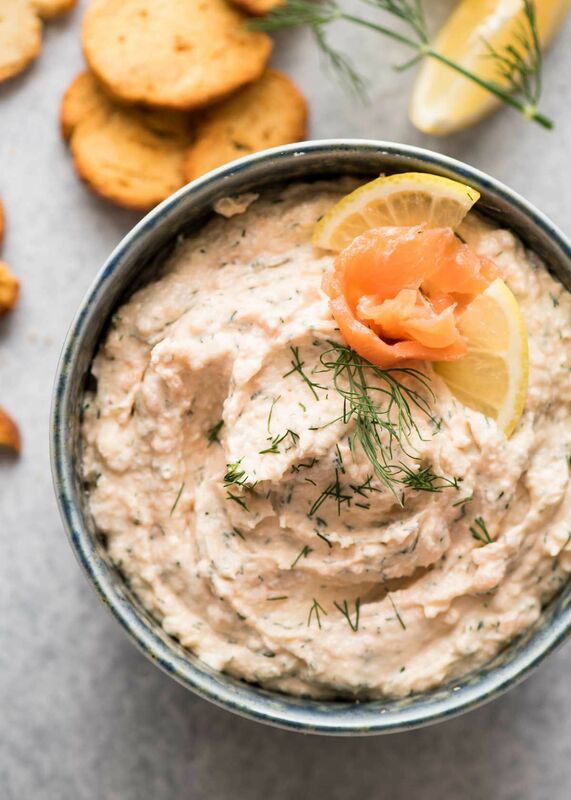 Homemade Smoked Salmon Dip has an incredible real smoked salmon flavour that you simply can't buy in tubs from the supermarket! Made with cream cheese, lemon, dill and smoked salmon. 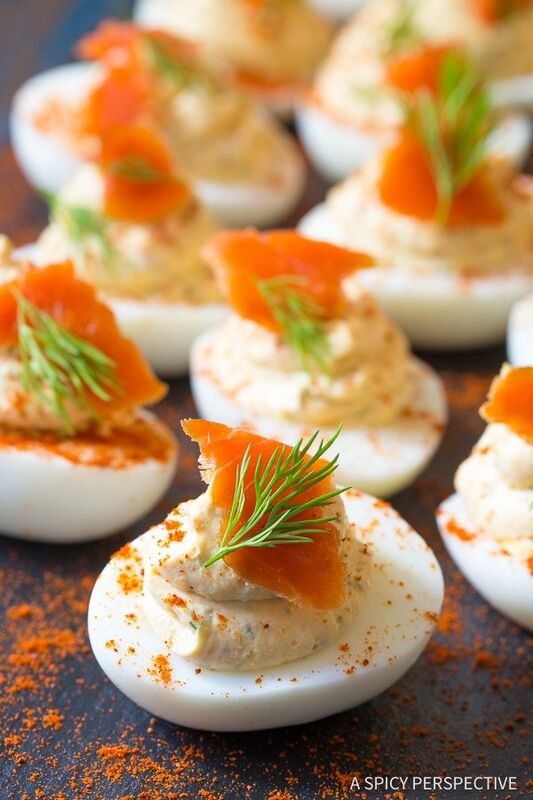 Heavenly Smoked Salmon Dip Deviled Eggs combine the dangerously decadent quality of smoked salmon dip with classic deviled eggs. Boil 4 cups of water. Stir in rice and reduce heat to simmer. Cover with top and let the grains cook for about 30 minutes or until fluffy. 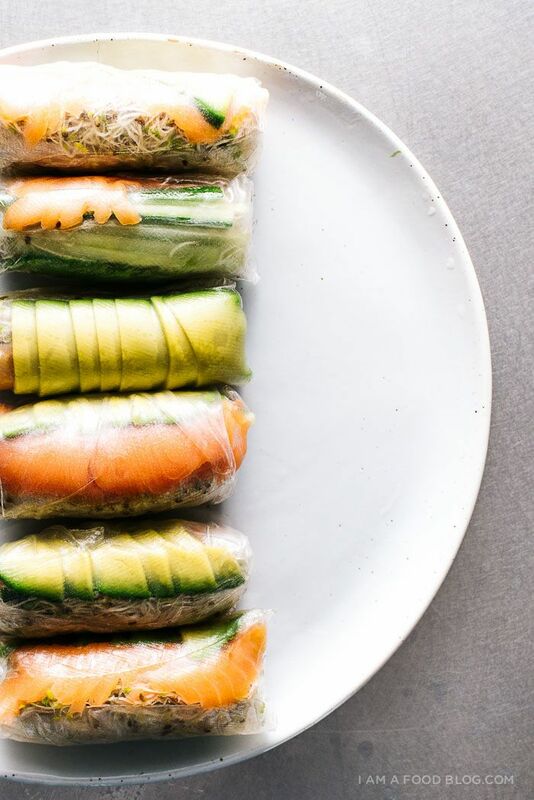 Stir to loosen rice. While rice is cooking, saute mushrooms, apples, and spinach in olive oil for about 10 minutes. Set aside in a bowl. 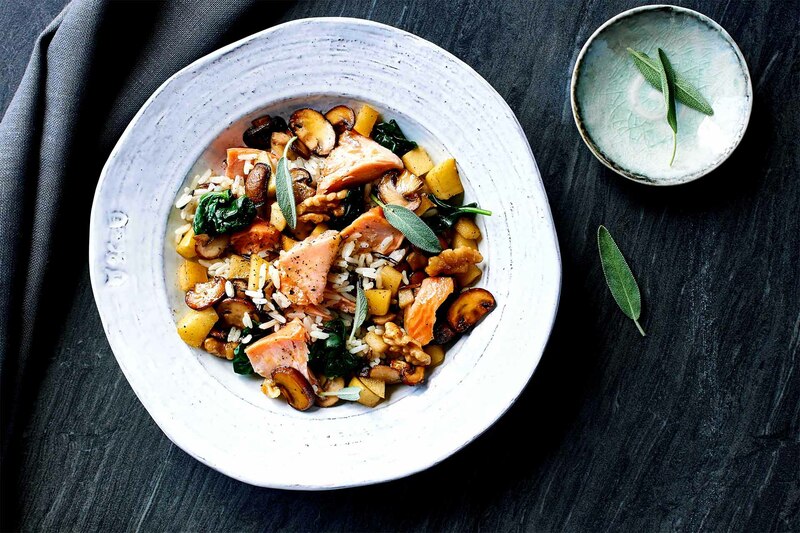 Using the same pan, heat up the salmon for 2 minutes and add apple cider vinegar. 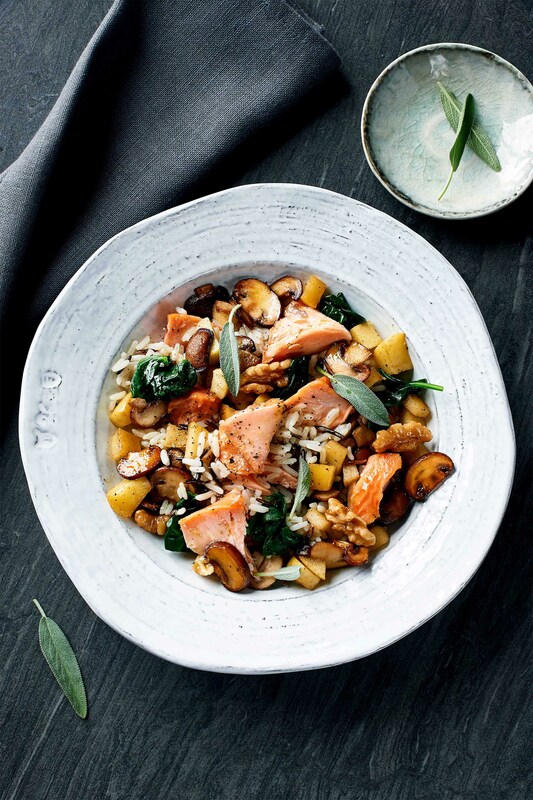 In a large bowl, combine rice, sauteed mix, salmon, salt, and pepper. Toss lightly until combined. Garnish with walnuts and sage. Serve and enjoy! 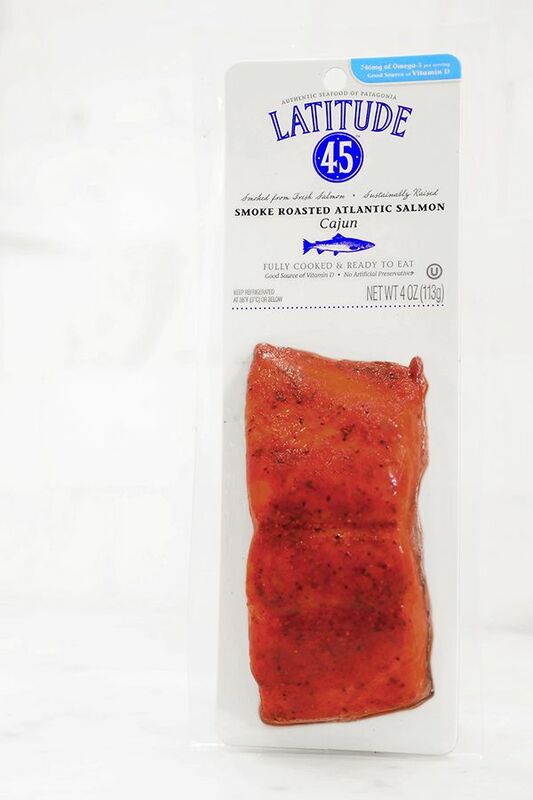 With a rich smoke heritage, our premium, authentic salmon products enable endless pairing options to please the palate. 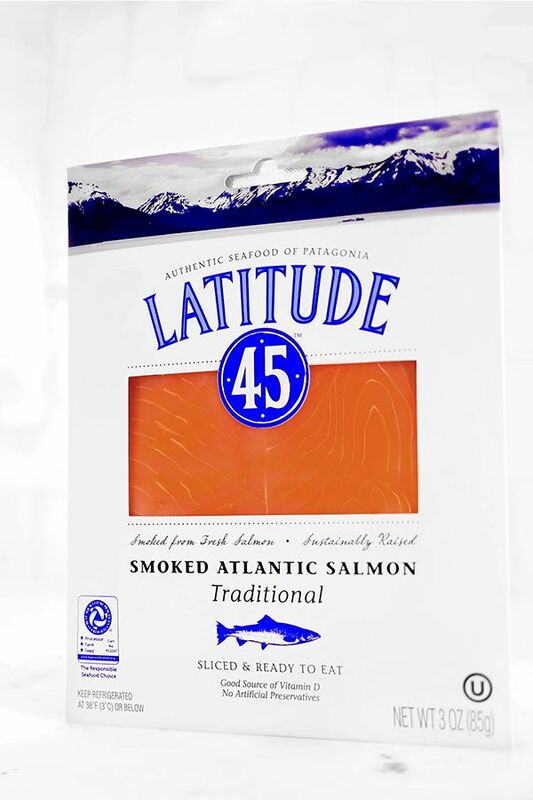 Pioneers in the Chilean seafood industry, 30 years keeping our passion in supplying “Authentic seafood of Patagonia”. © 2018 Multiexport Foods, Inc. All rights reserved.